As the economy continues to evolve,the wig swept the world, and in many types of hair,he Malaysian hair is one of the most bold and voluminous types of hair extensions on the market.At first,the Malaysian hair looks very shiny ,Smooth,after wearing a period of time,the hair will be worn to reduce the natural luster,but the quality will not become bad,but the appearance looks more natural. 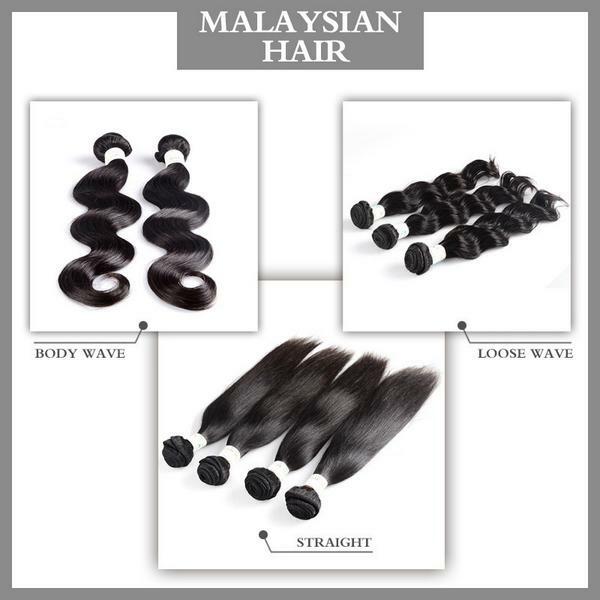 Malaysian hair is different from Brazilian hair,Indian hair and Peruian hair,the highest density of hair in Malaysia, so that curls tend to last longer,and most of the time will continue;but because of the larger density,its texture is usually straight,But there is a slight wave when collected from the original group;on the other hand,it has many tones,from light brown to dark brown to near black. Compared with Indian and Brazilian hair,Malaysia hair is still soft,soft silk; Malaysia curls will not fall or loose,but will remain in the original shape of the day,and do not need any product to keep the curly hair shape. If your focus is on the thickness and size,then the best choice for the extension of the hair of Malaysia,it is also like Brazil hair for all hairstyles. The hair of Malaysia is collected from the Hindu temples in Malaysia,where women regard hair as part of a ritual of affirmation of their spiritual commitment.Although this practice occurs once a year,it is not common in many countries such as Malaysia and India. This makes the real Malaysian hair very rare,the label "Malaysia" is mainly used for hair descriptors,with silky texture and high gloss. kabeilu company insists on doing high quality real hair,always provide customers with untreated real hair extension.